All funeral services must be called in to the cemetery office between the hours of 9:00 a.m. and 4:00 p.m.
All funeral services scheduled for Monday must be confirmed with cemetery office personnel, no later than 12:00 p.m. (noon) the preceding Friday. Any service called in after 12:00 p.m. (noon) shall be up to the discretion of cemetery management based on weather conditions and/or restrictions. All funeral services must arrive at the cemetery gate no later than 3:00 p.m.
Services arriving after 3:00 p.m. will be charged a late service fee per hour. Price to be determined by the Cemetery. At least one full business day advance notice is required to schedule funeral services during the Summer (warm) season and at least two full business days notice for winter (cold) season. Exceptions may be made at the discretion of the management staff. Due to safety, weather, or other unforeseen circumstances grave side services may be changed at the discretion of the management staff. 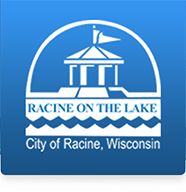 The Cemetery Management Staff, Cemetery Board of Commissioners &/or the City of Racine shall not be held responsible for any mistake resulting from the lack of prices or proper burial instructions for the particular grave, cremation grave, crypt, or niche in which a burial id desired. Winter guidelines for burials are in effect from November 15th to April 15th of each year and may change based on winter weather patterns. Any winter (cold) season burial must be scheduled with the cemetery office two (2) full business days prior to the date of the service. Headstone foundations will not be marked or placed after November 15th due to weather. Marking and placement of headstone foundations will resume each year on April 15th, weather permitting. During winter months, graveside services will be allowed at the discretion of the cemetery management.